She was built as the first Japanese Cruise Ship built in MHI Kobe yard in Japan after the WWII. She was the largest cruise ship in Japan at the time of built. She is fitted with public bath rooms with large picture window. This seaside bath room has been a standard for the most Japanese cruise ship and Japanese cruise ferries. Mt. Fuji like exterior design has been seen at the bottom of funnel are at the time of built however, the design has been altered later to improve the view from cabin. 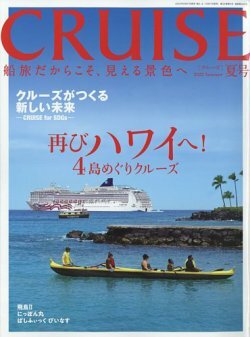 In 2002, she joined the fleet of Japan Charter Cruise Inc. together with Orient Venus of Japan Cruise Line, primary used for charter or seminar cruises. When East Japan Great quake hit Japan, she offered services on board for the quake victims,such as warm shower and hot bath, warm meal.